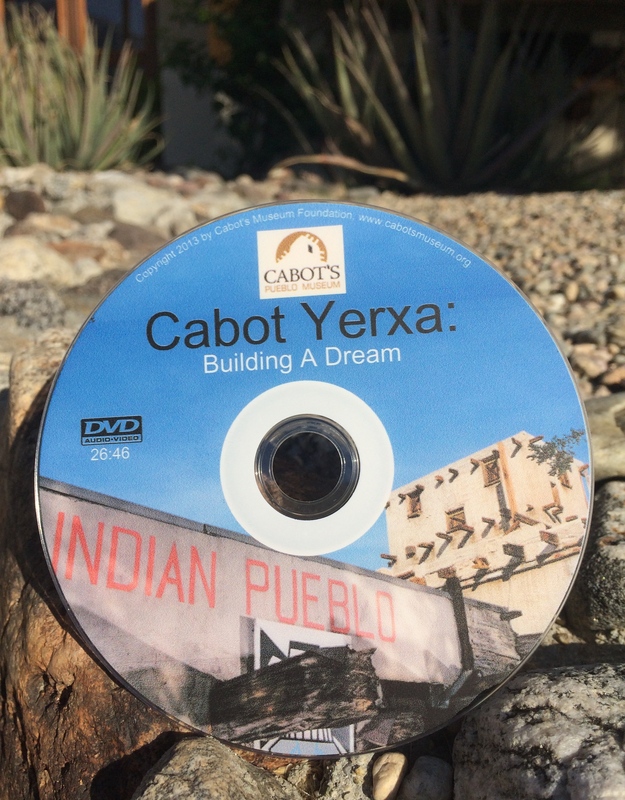 BOOKS AND DVD AVAILABLE FOR PURCHASE | Cabot's Museum | Nestled in the scenic hills of Desert Hot Springs, a Hopi-inspired pueblo sits against a hillside. CABOT YERXA: ADVENTURER: Memories of an Essential American Life. Just released! Before he built the Old Indian Pueblo in Desert Hot Springs, CA, Cabot Yerxa sold cigars to gold miners in Nome, Alaska (1900), heard Chief Red Cloud resign his leadership of the Sioux Nation (1903), homesteaded in the California desert (1913-1918), joined the Army’s first tank corps in World War I (1918), kept a store on the Colorado River frontier (1919-1925), studied art in bohemian Paris (1925), and seldome lost his good humor or his sense of the mementous times he was living through. In memoirs, letters, and journal pages he recorded his unforgetable adventures. His own photos and sketches bring the stories to life. 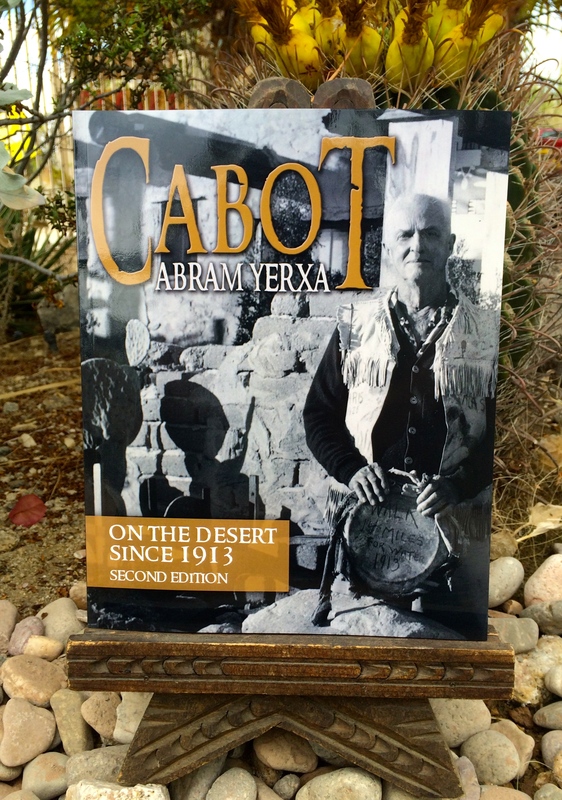 ON THE DESERT SINCE 1913, by Cabot Yerxa. A desert classic. Stories about Cabot Yerxa's life as a homesteader from 1913 to 1918, and his later return to the paradise he found on Miracle. 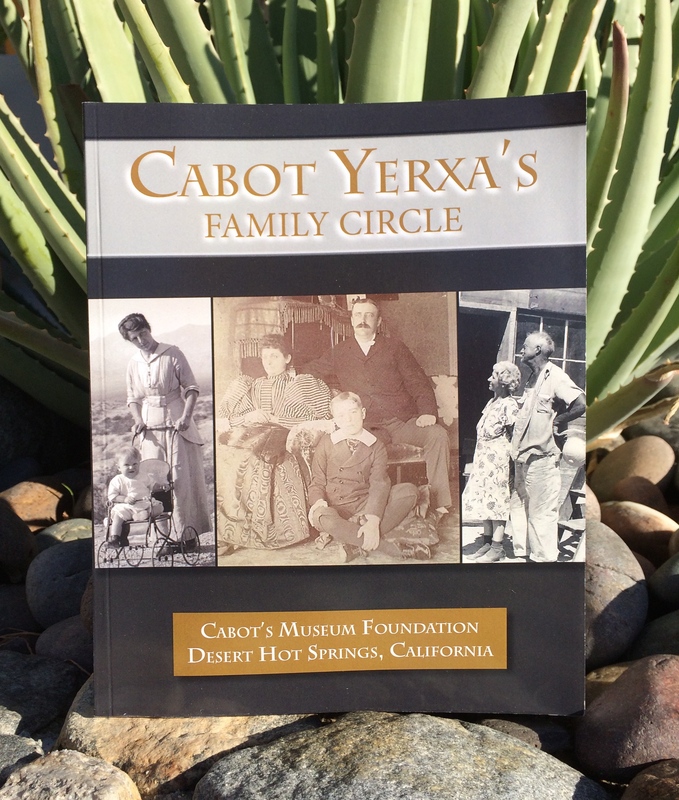 CABOT YERXA’S FAMILY CIRCLE, by the Cabot’s Foundation History Committee. Biographies of the people who influenced Cabot Yerxa the most: his parents, Fred and Nellie Yerxa, and his two wives, Mamie Carstensen and Portia Fearis Graham. Includes many family photos. This movie takes you through the Pueblo as it unfolds the story of the remarkable man who built it. Hear Cabot Yerxa’s voice from excerpts from his archived tape recordings as it weaves the narrative together. Includes many family photos. As seen on PBS, beautifully shot in HD. Telly award winner. Run time: 27 minutes. Questions on the status of your order can be placed to our trading post at 760.329.7610.